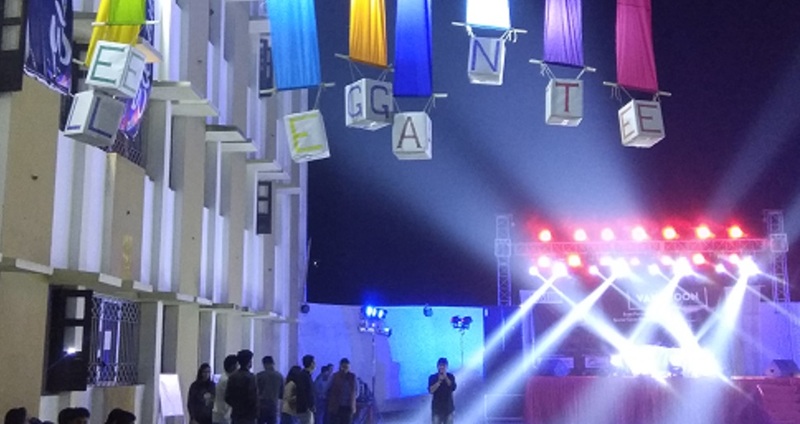 Eleganté is the maiden festival of IIM Bodh Gaya and the first event happened on 27 and 28 January 2018. With the completion of the first maiden festival of IIM Bodh Gaya, all the organisers of the fest were getting relaxed and enjoying the success of Eleganté. There were a lot of positive reviews from both online and offline participants congratulating us for making the first event a big success, despite a lot of constraints. I was sitting alone in the basketball court and was being nostalgic about these past few days and there was one moment which was rotating in my head. That was the moment without which everything would not be the same and it taught me a great lesson in my life. Jan 20th, with only 7 days left for the big day, I called Varghese to meet me urgently to discuss the sudden announcement of Magadh University’s sports events on the same days as our fest. This means our requests to book the stadium and indoor stadium to conduct the sports events are likely to be rejected. Damn! This cannot happen. Without sports the event is gone, the team’s rigorous hard work despite of the hectic schedule is going to be nothing. After discussing this we both were really out of ideas and more importantly, we were out of hope. Being the head of the organising team is not an easy job, especially when you had to take the initiation where the odds are really uncertain and you got to really trust your gut feeling to move forward. It was not easy for us in the beginning and the team was very small. Adding to that you should be able to face the blame when the event didn’t go well. It was a lot on our heads, the sponsors were not turning positive, Bodh Gaya itself has a lot of constraints in terms of location and you got to maintain the standards of the so-called IIM brand in your work. Every other morning we were facing a new problem but still, we kept motivating ourselves for the best, but the Magadh university sports event was way out of our hands to handle. This was the moment I and Varghese decided to call off the fest. But we know it was not supposed to be our decision, there is a bunch of teams who were working on their ideas and thoughts for the events, they got to know what was happening and we called for an emergency meeting to discuss about the problem. As mentioned earlier “the team was very small” so you got to imagine the amount of work every individual was contributing, I would say a team of 30 was giving an output of 150. This was the time I learnt one great thing in my life: Teamwork is more important than leadership. After discussing the current situation everybody was dumbstruck too, but the team didn’t give up, they kept pouring out ideas to do things, more importantly, our team was motivating and cheering the depressed organizers who lost hope. Our team has become our new hope. leadership is no good without teamwork. That was the moment I realized what it is to have a great team and especially the amount of dedication every student of IIM BG has, to improve the standards of college was phenomenal. A good college teaches you many things; despite of many constraints of being a new institute, IIM BG has really thought me great things about teamwork. Akshay Kireet is a student of IIM Bodh Gaya, right now he is pursuing his second year with marketing as specialization. He loves traveling, reading books and cooking. He is also a guitarist and admires painters. Well done Akshay. Keep going!